The Eye of Horus and the Eye of Ra--What's the Difference? 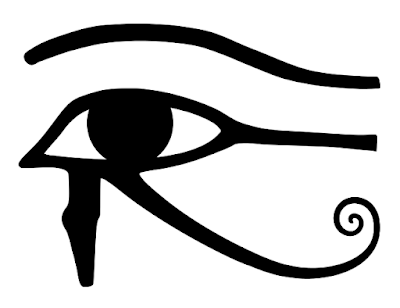 Introduction: Upon researching the eye of Horus and the eye of Ra, you will likely encounter some confusion at times. There is a degree of fluidity and overlap within Egyptian mythology; even in Internet searching it--punch in the term "Eye of Horus," and the Eye of Ra will make an appearance within the results, and vice versa. Thus it is my intent to alleviate as much confusion as possible, as the tale of the eyes in question is presented. Many are led to ask, what is the difference between the two? Are both Horus's eyes, and if so why is one referred to as the eye of Ra? These points and others will be approached within this piece. As you will soon discover, both of the eyes mentioned--that of Horus and that of Ra, are in fact Horus's eyes. Let's begin by taking a look at the history of the two deities, in order to gain a better understanding. Ra (aka Re), emerged early in Ancient Egyptian history. He was represented by a falcon, but had other forms including a phoenix, a beetle, and a man with a ram's head. He stood amongst the most powerful of deities. He was God of the Sun and was worshiped as a creator god; he even created himself. After he did he was sitting on a benben stone in the pre-creation darkness. He next created his children, a boy, Shu, and a girl, Tefnut, by spitting. The children went scouting around in the darkness and did not find their way back. Ra became distraught when he could not find them. He sent his one eye to retrieve them. But when it returned with the children it was livid, as another eye had been placed where it should be. The tears Ra wept upon the return of his children, became the first humans. To placate the angry eye and honor it, Ra turned it into a cobra (uraeus), and had it affixed to his crown to serve as a guardian and companion, not only to himself but also to the pharaoh (who was one with he). This pacified the uraeus, but also its power was contained in binding it that way. Hence the contained eye/uraeus, symbolized the ruler's power as well as their protection; also implied is the potentiality of the ruler unleashing chaos if necessary as a means to keep order. To keep things as clear as possible, with the aforementioned version of initial creation, some tell it replacing Ra with the god Atum; either is correct. Later on in Egyptian mythology Ra was melded with Horus, in the form of Ra-Horakhty. In that form Horus was god of the two horizons, but was also considered god of all within the entirety of creation. How much the two deities were as one singular god is a matter of speculation. Some suggest that the prefix Ra was given to Horakhty/Horus simply to denote him being fueled by the sun's powers; which would of course mean that Ra-Horakhty was not an actual composite god. This author says that's splitting hairs, as Horus's energy stream will carry each of his aspects that was ever believed. 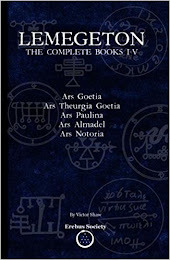 To clarify--even if they did not comprise a composite god, due to the fact that there are people who believed they did, that version of Ra-Horakhty exists in spirit--as does the one that does not have the god Ra as a part of him. Horus, on the other hand, was a multifunctional god; but his main role was that of being patron deity to the ruling pharaoh (and confusingly enough, this same role was assigned to Ra). He was seen as a deified version of the pharaoh. In that he was a descendant of the gods, he supported the ruler's power and authority. Furthermore, as in the case of most Egyptian deities Horus was seen as embracing the principles of Ma'at, which in turn depicted the pharaoh as being just. Being a patron deity in that sense was just one of his aspects. Beyond concepts already presented, Horus's roles included: god of the sky, god of the morning sun, god of the noon sun, god of war, and he was a god of vengeance and a hunter's god; furthermore he was a keeper of secret wisdom, and the son of truth. Ra's wife was Hathor, who was powerful, and was the most popular goddess throughout most of Egyptian history. She was eventually displaced in the sense of being most popular, by Isis. Horus is comprised of Horus the Elder and Horus the Younger. Horus the Elder (Ra-Hoor-Khu, Kemwar, or Her-ur [Greek, Haroeris]) is associated with the upholding of justice, truth, and liberty. Horus the Younger (Hoor-paar-kraat, or Heru-pa-khered [Greek, Harpocrates]), is a silent, passive, and pacific god. He is depicted as a child, often with his finger to his lips; he appears to be making a motion saying "be quiet." Beyond these two common aspects of Horus, there is a third. At times of arousal to war and in fierce protection, he was Heru-sa-Aset. This is the Horus that defeated Set. You will see him often referred to as part of Horus the Younger or as part of the Elder one; neither depiction is accurate though. He is not passive, and he is not matured and mellowed out. His strength aligns with the midday sun. His Elder and Younger aspects act as balancing weights, as he takes center stage. This newer categorization of Heru-sa-Aset as the prominent and most balanced, and thus a third aspect of Horus in this sense, is not a personal judgment from the author but rather is one provided to her through spiritual transmission. To clarify, if someone were to ask in earnest for the real Horus to please stand up, it would be Heru-sa-Aset that would respond. He would have the Elder and the Younger as reflections at his side; they come as a package deal. Note: As this site often presents articles relative to the topic of Thelema, it should be mentioned that the depiction of Horus within this article in multiple ways stands apart from the Thelemic Horus. In Egyptian mythology, the eyes are female. The right eye of Horus is relative to the attributes and power of the sun, and also to Ra. Horus's right eye, to us when we look at his image, is the one on the left. 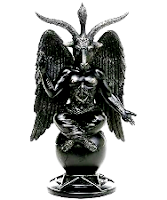 It can be a self standing entity, and also is personified as or associated with: Bastet, Sekhmet, Hathor, Tefnut, Nekhbet, and the goddess Wadjet. At times Sekhmet was sent forth as "the Eye of Ra," to fight those who rebelled against him. That's why the Eye of Ra has darker connotations than the Eye of Horus. Later she was brought to be more peaceful, and at that point transformed into Hathor. There is a theory that when Hathor is angered, she can become Sekhmet, Bastet, or even both. Give your cat red tinted milk to have things go well. (Nice bit of magick right there**). It resembles what Ra did to the goddess Sekhmet, when he tricked her into shutting down her murderous rampage. Ra had become angered at peoples' less than just behavior, and sent Sekhmet out to teach a lesson. Sekhmet had an insatiable appetite for blood, and much was being spilt. As a result Ra had a change of heart. He colored a lot of beer red with pomegranate juice; Sekhmet believed it was blood and drank her fill. She slept for days afterwards and woke up at peace. ** When to use the spell mentioned above: Any time the world or your personal space seems to be falling prey to chaos, that can be seen as Apophis getting out of control. But if everything is fine yet you still feel the way you would if things were out of control, that is Sekhmet or Bastet continuing to rage. Feed her the tinted milk and she becomes Hathor. Peace will overtake you, and you will find your center. Seemingly a simple spell, but it is powerful in the sense that it is a way to control chaos in creating order around it. Please use natural food coloring for this spell, it's available at health food stores. Bastet, who is also seen as an eye of Ra, is in an eternal battle against Apophis. It is Apophis's aim to destroy the universe that is being built and constantly worked upon. Imagine the universe as a box of Legos, and mankind and all deities are working to make something grand from the pieces. Now imagine Apophis trying to shove the Legos back in the box... Bastet's job is to keep him from interfering. The left eye is the Eye of Horus, and an older name for it was Wadjet, or Udjat, which refers to being whole, healthy and strong. After Set killed Osiris, Horus set out to avenge his father's death, and a brutal fight ensued. Set tore out Horus's left eye and broke it into bits, and the pieces were scattered across Egypt. The fight was not entirely one sided--Set was castrated by Horus. It was the god Thoth who gathered up the bits of Horus's eye and restored it to a healthful state; in other accounts it was Hathor that restored the eye, others yet, Khonsu. Once the eye was restored Horus gave it as an offering to Osiris, who ate it and hence came back to life. The left eye is associated with multiple things, including, the moon, healing, renewal, the golden ratio, miracles, manifestation, magick, protection, and personal sacrifice. Did Someone Just Mention the Golden Ratio? As a matter of fact I did. If you look at a mathematical breakdown of Horus's eye, you see a representation of the golden ratio. Each section represents a fraction, beginning with 1/2 and being reduced by half with each reduction. Eg.--1/2, 1/4, 1/8, 1/16. And it continues, and where it ends the end is not definite, and any continuation of it in appearance would make the wholeness of the eye more complete, but at no point could it ever be completed in adding more fractions. Seemingly miraculous, and thus is the magick of Horus's eye. The nature of the magick of this eye, may have something to do with why it has become so popular in today's culture, in the form of the All Seeing Eye. Why Does Horus Have Ra's Eye? The author, prior to immersing themselves in this topic, felt that the most likely response to this evocative question was--given that Horus and Ra were combined as one, the eye was symbolic of that (how simple!). However, that is not the case. What happened is, that Isis wanted to know Ra's secret name, in order to restore Osiris to life. She devised a plan--she hid a snake, and it bit Ra. It would not be any snake that could bring down such a powerful god; however, this one was created from dirt combined with the god's drool (the drool had fallen from the skies when he was very tired). Because the snake held his essence it could hurt him. Isis's terms dictated that she'd save Ra only if he'd share his secret name. He did, and as part of their agreement, her son Horus was given Ra's eye and the powers it contained. Given all that's been shared so far, it's easy to see how both eyes are magickal and hold similar powers. I, the author of this piece recently had a vision, wherein Horus's right eye opened up and a magickal event ensued--it appeared as if an energy stream was pulling in from the great nothingness (the nothingness that is Nuit; and the pupil, so vaguely present, was obviously Thelema's Hadit). As it did, Ra uttered words of magick on my behalf. From that vision I gleaned that as the right eye set magick in motion, the left eye would work to manifest it. It was also understood that in different magickal circumstance it would be vice versa--the left eye pulling the unwanted out, and the right eye working its magick to assist in removing it. And when the eye later on returned to work further magick and provide further vision, it returned as an eye neither left nor right, thus it was the eye of Atum-Ra. Strangely enough, it was walking on legs that looked like the curlicue and the stilt commonly drawn beneath the eyes being referenced. As a Summary, I'd like to close with yet another alternate view, which is that some view both Horus's left and right eye as the Eye of Horus, and view the eye of Ra as a separate concept. When this is the case, it is the uraeus that is the eye of Ra in question, or otherwise it's one of the goddesses known as a personification of the Eye of Ra acting in that capacity, or even the self standing Eye, (sigh) of Ra, or Atum-Ra. So it's confusing to say the least, to look at it this way due to the obvious overlap. It was an absolutely enriching experience to write this, as the gods and goddesses of Egypt had much to say along the way. As well my friend Adam K. was a great help--especially in offering the bits about Sekhmet and Lego. If you found this article interesting at all or evocative in any way, please feel free to share the link.